What time is the 2018 AFL Grand Final? Who will win this year's Grand Final? 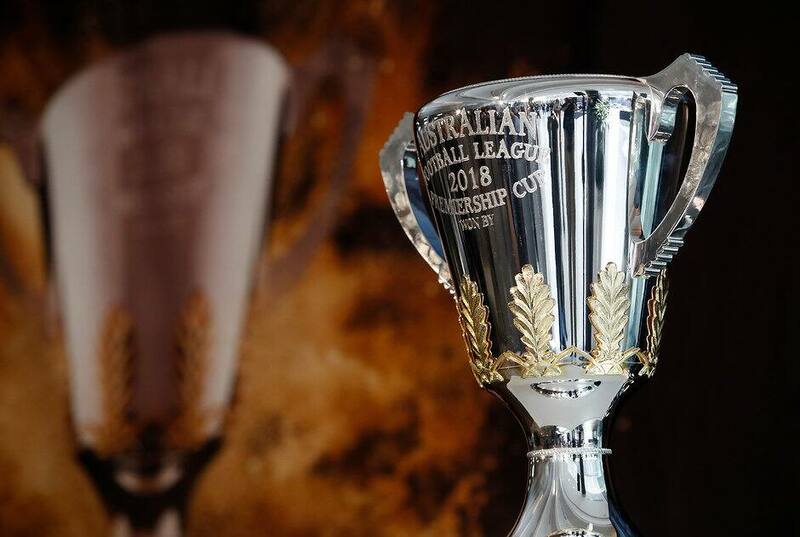 THE 2018 AFL Grand Final between West Coast and Collingwood will start at 2.30pm AEST on Saturday, September 29 at the Melbourne Cricket Ground. The Magpies booked their place in the flag decider after stunning Richmond by 39 points in the first preliminary final. It will be their first Grand Final appearance since 2011 when they lost to Geelong. The Eagles blew Melbourne away by 66 points in the second preliminary final to reach the decider for the first time since 2015 when they lost to Hawthorn. As the highest-ranked team, West Coast will wear its home guernsey and home shorts, while Collingwood will also wear its home guernsey with white shorts. Overseas? Grab your Watch AFL Global Pass here or find a party in your region of the world here. Who is performing at the Grand Final? Six-time Grammy award winners The Black Eyed Peas will be the key musical act of the Virgin Australia pre-game show, which begins at 1.30pm AEST, while Australian icon Jimmy Barnes will also take to the stage and will be joined by special guest Diesel. Barnes' daughter Mahalia will perform the national anthem and Mike Brady will again feature at the Grand Final to perform Up There Cazaly. Barnes will also perform at the Virgin Australia Premiership Party, a free concert after the game, with access available after 6pm AEST. The Black Eyed Peas, consisting of will.i.am, apl.de.ap and Taboo, have sold 50 million albums worldwide and won 11 ARIA awards. They have had 15 top 10 ARIA singles, including Don't Phunk With My Heart and I Gotta Feeling. Fergie will not be coming down under after the singer parted ways with the group last year. - All the news from the game including comprehensive match report, player ratings and in-depth interviews with players and coaches. What else is happening in Grand Final week? 9-6pm: Join the fun at this year's Footy Festival/Toyota AFL Grand Final Live Site at Yarra Park, outside gate three at the MCG. The Footy Festival runs from Wednesday to Saturday. It features plenty of activities for fans of all ages, with a variety of tasty treats to sample from the likes of Biggie Smalls, Toasta, San Antone, Taco Truck and Manny's Doughnuts at the Taste of Football, and fun and games for youngsters at the Milo Kids Zone. Entry is free for all four days. 12pm AEST: Catch the stars of the Grand Final at the Toyota AFL Grand Final Parade, proudly supported by the City of Melbourne. The parade starts at the Old Treasury Building in Spring Street and finishes at the Toyota AFL Grand Final Live Site in Yarra Park, around 1pm AEST. 5pm AEST: If you're not already at Yarra Park, head down for the Grand Final Eve Concert. The opening act is DJ Horizon, followed by local hip hop trio Thundamentals. Looking for more to do in Melbourne on Grand Final weekend? There's plenty on in the city, whether you want to soak in the footy fever or fuel up with a great feed.